As newer HDB flats and apartments increasingly shrink in living space, clutter is a huge concern for homeowners and tenants alike. The zen-inspired concept is attractive in its minimalist approach to interior design, where less is more and the aim to create a calm environment. Zen-design aims to encourage a serene and peaceful environment. Earthy, muted colours like beige, light brown and grey gives this visual effect. Harmony between colours is important, so avoid mixing too many colours into the overall decor. Instead, blend two or three similar shades or colours to give some variation to an otherwise monochrome interior. Harsh marble tiles do not match the soft wooden texture of zen design. Or any other tiles for that matter, although you might get away with using textured stone tiles. If you’re changing the flooring of the room, parquet or any other wooden flooring will suit the zen inspired look very well. Note that wood-design laminate gives the visual effect, but the feel of your feet on cold plastic will be jarring. Otherwise, a white or beige carpet or rug can help add softness to the floor. The downside is the additional maintenance required, and it may not suit Singapore’s warm tropical climate. Ideally, a zen-inspired interior is illuminated by large open windows letting in lots of natural sunlight. This opens up the space and gives it an airy, natural atmosphere. However, Singapore’s dense urban environment might restrict the amount of natural light flowing in. To increase the amount of indoor light, you’ll need to use artificial light sources. The first rule is to not use harsh, direct fluorescent lighting. Instead, position table or standing lamps to reflect soft and diffused lighting across the room, or light a candle for an even more authentic zen feel. Just be careful not to put it near curtains or other flammable material! Curtains, table cloths and mats also contribute to the overall look. Natural fabrics like linen and wool will blend into the overall design, making them ideal material for zen-inspired interiors. You’ll also want to find lighter fabrics, perhaps with a smaller thread count or a looser weave. This brings in more sunlight, and in the stifling Singapore heat, cools the room down by letting more air in. Zen-inspired interior design involves a lot of clean lines and minimal clutter. You’ll therefore want to limit the furniture to those with a purpose, so it frees up more space in the room. The furniture itself should be built with natural material like wood or bamboo, so it blends in with the overall look. Look for furniture with minimal ornamentation, and keep the design as simple as possible. High quality Japanese-made furniture can be found in stores like Atomi and Muji. Going back to the concept of less is more, zen-inspired design leaves little room for decorations or ornaments. Instead, keep decorations like photo frames, paintings and crowded bookshelves to a minimum. A small collection of favourite photos will suffice to put a personal touch to the interior. If you have a bookshelf, try wrapping the books in a coloured paper that blends with the overall theme, so you don’t get a jarring display of colours from an otherwise harmoniously-decorated room. Zen-living is a multi-sensory experience that involves more than just the visual and tactile senses. With a light natural scent from a bottle of essential oils or by burning an aromatherapy candle, you’ll feel instantly at ease. You’ll probably sleep better too, and that’s good for your health! The natural zen-inspired look does not blend with modern electronics appliances and wires at all. This is where creativity comes in, as you find ways to hide large everyday objects like your television set and multi-surround sound system. Bonsai trees and terrariums are popular choices for zen-inspired homes. Small cactuses may work if you don’t mind the fact that it really isn’t all that Japanese. Alternatively, look for plastic replicas if you don’t have a green thumb, or the interior doesn’t have enough sunlight for the plant to survive. Besides hiding electronic appliances that look obviously out of place, you’ll also want to keep other household objects away from view, or blended into the background. 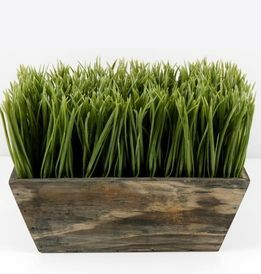 Some items can be placed in the open, if the material suits the decor – for instance, wooden utensils and cutlery for dining, or a faux grass tabletop box. Otherwise, buy furniture that have built-in storage compartments cleverly hidden in recesses. For example, the base of a coffee table could open to reveal plenty of storage for toys, newspapers or house-cleaning material. Often enough, you’ll find that you don’t.